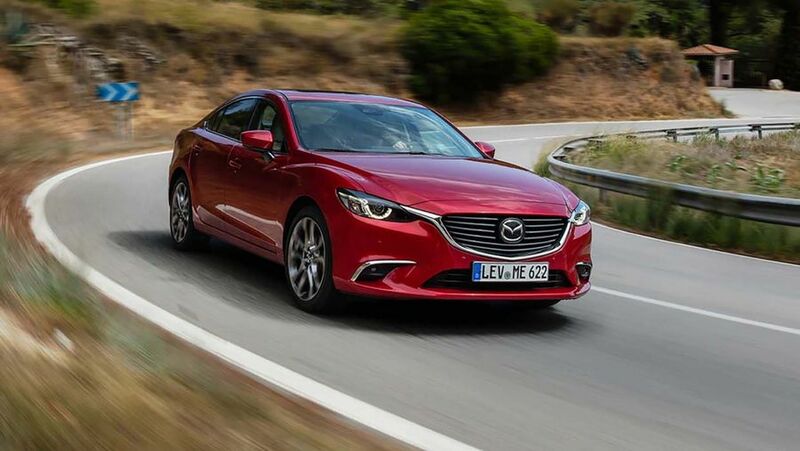 The Mazda 6 Saloon is an affordable and smartly-styled family car that competes with cars like the Ford Mondeo, Vauxhall Insignia and Volkswagen Passat. 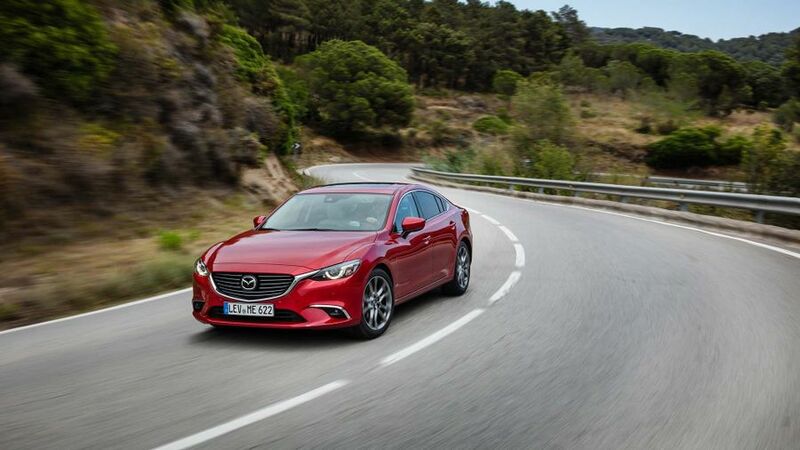 The Mazda 6 is a cracking alternative to the usual family car suspects. 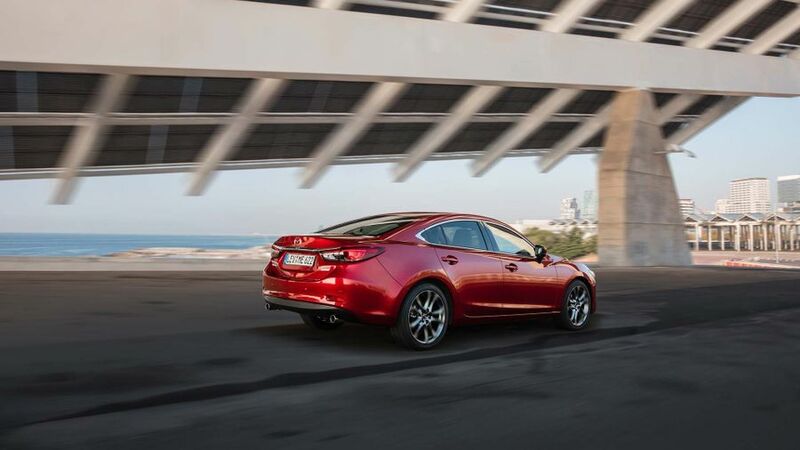 It’s good to drive and has a character all of its own, thanks to Mazda’s unique take on diesel engine technology. It’s also affordable to buy and run, comes well-equipped and provides more than enough space and practicality for most families. An overly firm low-speed ride and high levels of road-noise at motorway speeds mean it’s not perfect, but for this sort of money, it’s not far off. This base diesel model comes with a smooth, powerful engine and plenty of kit, all at a reasonable purchase price. Low emissions and excellent economy: two more reasons to go for this relatively modest model. Do avoid the automatic gearbox, as it worsens your fuel returns by 10mpg. Auto-equipped petrol model lacks sufficient grunt and with this trim, it’s expensive. 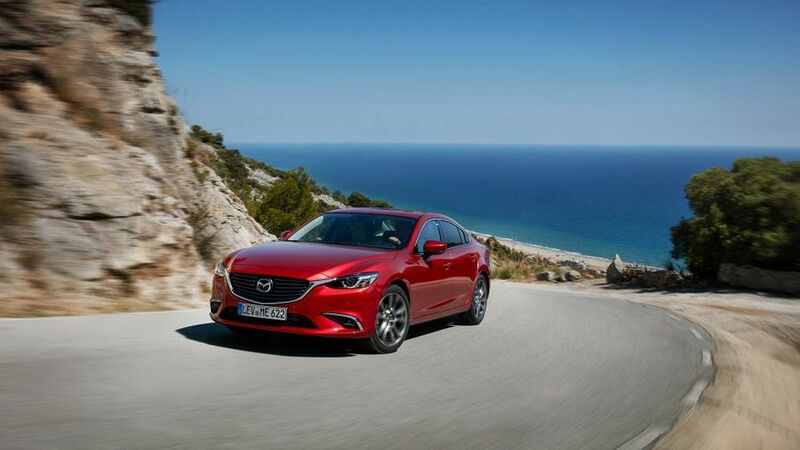 Interested in buying a Mazda Mazda6? Clearly, the 6’s coupe-like roof line impacts on rear headroom and the decision to go with a boot rather than a hatchback also limits versatility somewhat. That said, the deep grille, swept-back headlamps and proliferation of curvaceous bulges give the 6 considerably more visual impact and far greater on-road presence than many of the generic Euro-box models that currently dominate the family car class. While all models come with alloy wheels and body-coloured bumpers, the range-topping SportNav version ups the bling content with plenty of chrome trim and dazzling LED headlamps and fog lights as standard. It’s easy to remain comfortable in the 6 even when covering big distances, thanks to a vast range of steering wheel adjustment, a pedal box that’s perfectly aligned, and excellent seats that are both comfortable and supportive. The high definition 7-inch touchscreen that dominates the centre console can also be operated by a rotary controller and shortcut buttons located by the gearlever: a godsend if you wish to avoid loads of unsightly fingerprints on the screen’s surface. While the main menus are reasonably intuitive – with the exception of the usual unfathomable DAB menu – and easy to read, some of the supplementary switches, including the heater controls are quite diddy and difficult to use confidently when on the move. Anyone accompanying you up-front will have absolutely no issues with the amount of head, leg and elbow room. Equally, unless the front seats are occupied by a pair of giraffes, those in the rear will feel pretty chuffed about the amount of leg room on offer. The 6’s sloping rear roofline does impinge on noggin space a wee bit though, so anyone over six-feet may feel compelled to adopt a bit of a slouching posture. As with most motors in this class, there’s a decent amount of storage for your odds and ends, including a sizeable glovebox and door bins, and a decent sized lidded cubby-come-armrest to keep your valuables out of the view of unscrupulous types. Unlike some rivals that are offered in multiple body styles, the 6 is only available as a saloon or an estate. If you don’t fancy the tradesman’s option, the saloon is still reasonably versatile. At 483 litres, the boot is a decent size – if not in the same leagues as a Ford Mondeo or Skoda Superb – but the best part is, it’s extremely deep from front-to-back, so much so you can slide three or four golf bags in long ways. Of course, you might want to keep that one under your hat unless you want to end up as the nominated driver every Sunday. If you need to carry anything longer than your bats, the 60/40 split-folding rear seat backs that come as standard can be called into play. They’re easy-peasy to release thanks to convenient leavers located at the top of the boot opening, but don’t fold completely flat. Although the steering feels quite soft and displays a disconnected sensation around the straight ahead position, the 6 is still a fun car to drive. It changes direction smartly and is well tied down in corners, with little body lean and plenty of grip. That control does take the edge off overall comfort, however. The combination of relatively short travel suspension and heavy damping mean the body isn’t permitted to rise and fall with sufficient freedom, resulting in a ride that at times feels rather trapped. This trait isn’t so noticeable on smoother motorway surfaces, but you’ll certainly be aware of it around town, where lumps and bumps can all too often be felt bucking into the cabin. Undoubtedly, the worst aspect of the 6 is its inability to mask road noise. While motorway surface transitions are far too obvious, a fundamental lack of sound deadening means the incessant level of tyre roar bombarding the cabin at 70mph soon becomes very wearing. 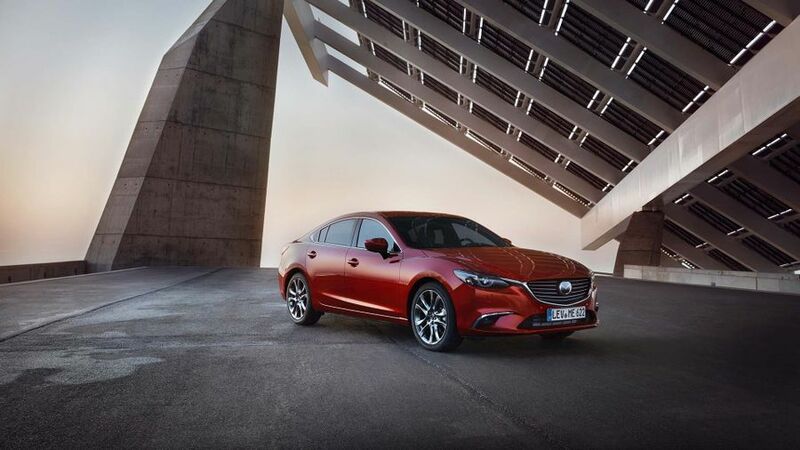 Mazda’s brochure insists there are four engines available for the 6 – two 2.0-litre 4-cylinder petrol engines and two 2.2-litre 4-cylinder diesel units. In truth, there’s one of each fuel type, both offered in two states of tune. 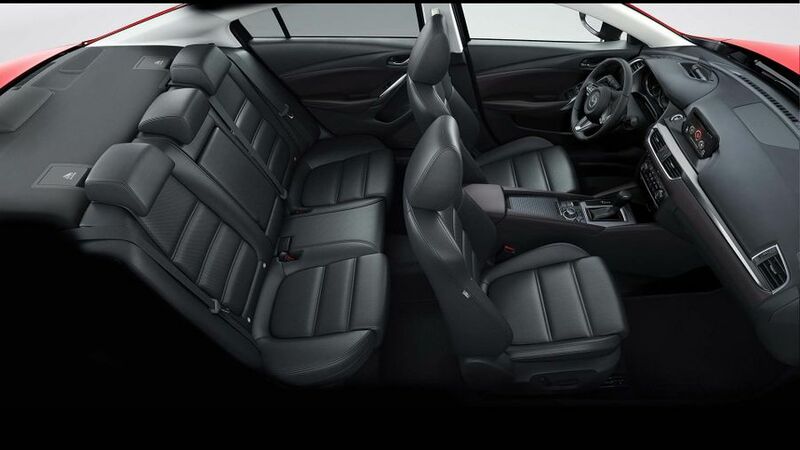 While the petrol engine is available with 143bhp or 163bhp, the diesel generates 148bhp or 173bhp. The petrols need to be revved quite hard to deliver decent acceleration, but the diesels have muscular flexibility in abundance. Given the 6’s popularity as a company car, it comes as no surprise that the lower powered 148bhp diesel makes up the vast majority of sales. It’s also the sweetest engine in the line-up and all the more notable for its un-diesel-like character. For a start, the hard-edged combustion chatter normally produced by the majority of modern turbo diesel engines, both when idling and when placed under heavy load, is considerably softer in tone and far less intrusive overall in the 6. What’s more, while most rival’s motors deliver a fat slug of power from the get-go, then tail-off towards 4,000rpm, the 6’s engine builds power more akin to a petrol engine, as it soars in linear fashion to its heady 5,000rpm red line. Although manufacturers like to label cars like the 6 ‘family cars’, in truth, the vast majority are purchased as company cars, and most feature frugal diesel engines aimed at incurring the lowest possible tax bills. While the cleanest diesel engine in the 6 produces reasonably low CO2 emissions at 107g/km, which corresponds to 68.9mpg on the official combined cycle test, some of the 6’s rivals offer engine versions that dip below the 100g/km barrier, meaning their tax implications are quite a bit lower. It also means they’ll get through fuel a bit more sparingly. That said, the 6’s list prices are very competitive, you get plenty of standard kit for your money and its residual values will be stronger than more common or garden models such as the Vauxhall Insignia. This is an area in which 6 ownership should give you very little cause for concern. 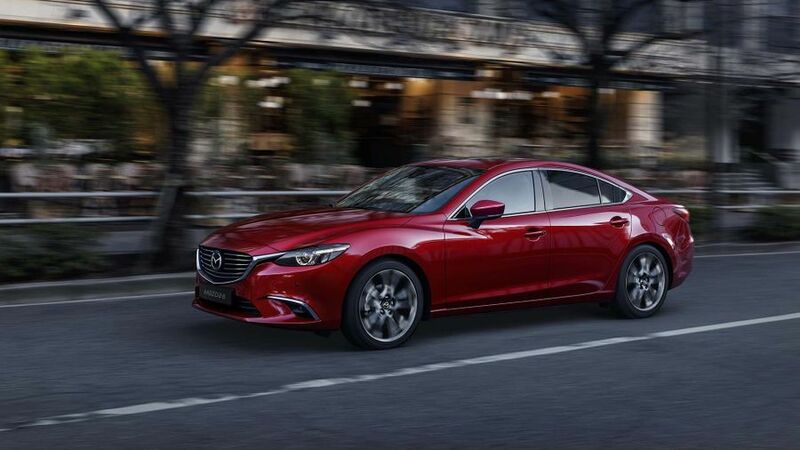 As a brand, Mazda is flying high in the manufacturer standings of Warranty Direct’s Reliability Index, and the 6 has a cracking score as an individual model. That said, the three-year/60,000-mile warranty provided looks rather average compared with the arrangements offered on some rival family cars. All versions of the 6 have stability control to help you avoid accidents, while six airbags are provided to help keep you from harm if one becomes unavoidable. All but the entry-level SE trim also come with a city braking function, which at low urban speeds, can slow or stop the car automatically if it senses an impending collision. Range-topping SportNav models can also be specified with an optional safety pack that includes lane departure warning and blind-spot assistance. There is less temptation to upgrade with the 6 than you might imagine, as even the entry SE version comes with alloys, Bluetooth, cruise control, air-con and four powered windows – unsurprisingly, SE Nav adds sat-nav. If you do choose to up the ante to SE-L Nav, it adds niceties like climate control, front and rear parking sensors and automatic lights and wipers and, of course, sat-nav. As well as its swisher looks, the range topping Sport Nav model also gets a reversing camera, powered leather seats, a head-up display, and keyless entry. Looks are totally subjective but we still reckon the 6 is one of the most stylish family cars currently on sale. It’s not the quietest car or ultimately the most comfortable in the sector, but it’s a highly enjoyable car to drive, comes with a smartly finished interior, plenty of standard equipment and is competitively priced. With the right engine choice, it is encouragingly frugal, boasts impressively mechanical refinement, and should be about as reliable as a knife and fork, all of which adds to the overall appeal.